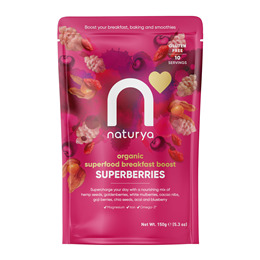 Naturya`s superberries breakfast boost is brimming with 9 delicious and nutrient rich ingredients and is for all of you berry lovers out there. It doesn’t contain fillers and definitely no fuss. Bringing with it is Omega 3, iron, zinc, potassium, magnesium and tons of the good stuff, fibre. Start your day in an incredible way. 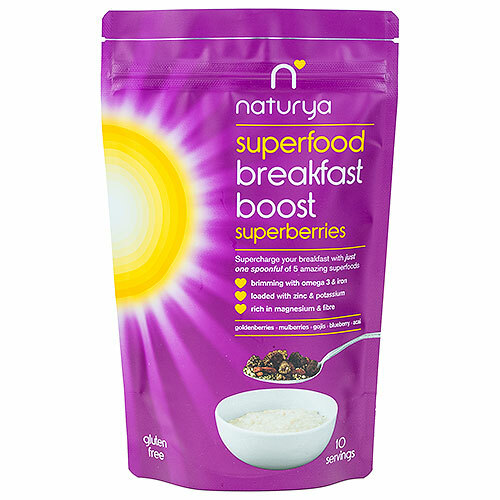 Below are reviews of Naturya Breakfast Boost Superberries - 150g by bodykind customers. If you have tried this product we'd love to hear what you think so please leave a review.